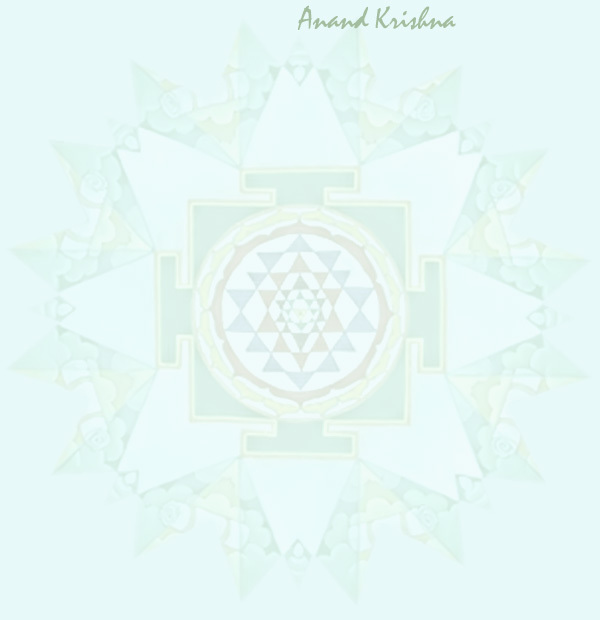 Who is Anand Krishna ? Founder of Anand Ashram (Abode of Bliss), was born in Solo city, Indonesia but went to Lucknow, India for his Elementary School. From his early age, he was under the tutelage of a Sufi mystic Sheikh Baba. In 1991, due to his mounting activities and stress he was terminally-ill because of Leukemia disease. Although the Leukemia was on the last stadium, the disease only lasted relatively short (less than one year). This experience gave him a very profound effect on how he saw the Life and the World. After his miraculous recovery of Leukemia in 1991 he decided to leave the business world and founded Anand Ashram (Abode of Bliss), Centre for Meditation and Holistic Health to share his profound experience and understanding toward Life to others. More than 2.6 million people from Indonesia, India, Japan, Hong Kong, Singapore, and UK have attended his lectures.In the last 17 years, Anand has spoken to millions through television shows, radio talks, inhouse trainings, books, newspaper interviews and articles, as well as daily meetings and workshops held at Anand Ashram (affiliated with United Nations), One Earth Retreat Center, Anand Krishna Center and Graha Indonesia, the four centers of meditation established by him in the Indonesian Capital of Jakarta, the suburban city of Bogor, the palatial ancient city of Yogyakarta, and the beautiful island of Bali. However, his most outstanding contribution and legacy are his 130 over books published within last 10 years with more than a million copies sold all over Indonesia. One of his recent books, in fact one of thirteen titles in English, "Voice of Indonesia" was released in California and discussed on the Campus Radio of University of California at Santa Barbara. For his contribution in the Sacred Philosophy and Spirituality writings, in 10th of March 1999 he received a Professional Excellence: Cultural Doctorate in Sacred Philosophy from World University, Desert Sanctuary Campus, Benson, Arizona, USA. Anand has appeared on all major National Medias, several Regional Medias - both Print and Electronic. He has a weekly column in one Major Print Medias, and monthly TV as well as Radio Shows - both in Bali Island. He also writes regularly for several other medias nationwide. In Jakarta, he has just completed a 13-episode serial on "Q" and "Swara" TV Channels, entitled "Building Indonesia Anew with Anand Krishna". Currently, the next season of the show is already on air, which is titled "Building The World Anew with Anand Krishna". The whirling dance or Sufi whirling Dervish is one of the most ancient techniques. It is so deep that even a single experience can make you totally different and one of the physical methods used to try to reach religious ecstasy (majdhb, fana). Years back just around the time I met Krishna, I remembered reading in one of the books that a great spiritual leader will emerge out of Indonesia! Then one day I met Krishna, and I knew it was him ! Yoga as I understand it is an orchestra. It is a beautiful melody. Matter and Spirit are both linked together - this is Yoga. Matter and Spirit, with all their variations, graduations and shades add to the luster of Yoga. They add to the beauty of Yoga. You must put all your efforts into crossing the ocean of life. But, don't ever believe that you can cross it with your efforts alone. You still need the Ship of Surrender and the Friendly Winds of Grace.